Smoking rates have stagnated in Australia. If policy-makers are truly committed to meeting the national target they have a duty to raise the smoking age to 21. This photograph depicts countless cigarette butts in a public ashtray. The photograph was taken in the city of Courbevoie, in the department of Hauts-de-Seine, France. Photo Credit: Julien Fourniol/Baloulumix. Declining smoking rates in Australia have plateaued over the past five years. Simultaneously, we have seen a growing gap in smoking rates between high and low socio-economic groups, between urban and rural areas and between Indigenous and non-Indigenous Australians. This is unacceptable. In Australia the latest data from the Bureau of Statistics shows that one in every seven young people will start smoking and it is estimated that one in three smokers will ultimately die from smoking related causes. Australia’s national tobacco target is to reduce daily smoking rates from 19 per cent (in 2007-2008) to less than 10 per cent. At our current reduction rate, it will take another ten years to achieve this. We can’t afford to wait that long. Bolder action is needed to make a real impact in the cancer space and save our young people from the dangers of smoking. We will never rid ourselves of society’s tobacco dependency if each year new young people take up the habit. Australia needs to raise the minimum purchasing age of cigarettes to 21 by introducing T21 legislation. Studies show that 95 per cent of all smokers take up the habit before the age of 21. While Australia waits for the next National Tobacco Strategy to be published (probably now delayed until after the federal election in May), other countries have started to push for stricter tobacco control policy, calling on legislators to consider T21 and other bolder measures. In the UK a group of politicians have called for an increase in the legal purchasing age of cigarettes. The group’s chairman, conservative politician Bob Blackman has referred to T21 as an essential first step in achieving the UK’s vision for tobacco prevention. The group was instrumental in banning smoking in public places and in introducing the UK’s plain packaging legislation. They also want the government to impose a levy on tobacco firms to fund measures that encourage people to quit. Crucially in the UK, legislation to strictly regulate smoking has widespread cross-party and public support. In Singapore the minimum legal age for smoking was raised to 19 on Jan 1st 2019. This is part of the Singapore government’s plan to gradually raise the minimum legal age to 21 years old over a period of three years, to begin diminishing the prevalence of tobacco. In the United States 450 local governments across 25 American states have legislated T21. Nine US states have now legislated state-wide policy to increase the minimum purchasing age of cigarettes to 21 and Texas, the bellwether state for US policy, appears poised to pass legislation shorty, after T21 gained enough momentum for re-consideration. In Australia, we will never be able to stop selling cigarettes, if every year new young people are developing a dependence on smoking. At Minderoo Foundation’s Eliminate Cancer initiative, we don’t want to a see another Australian cent go to the billion-dollar tobacco industry that destroys lives. To achieve this we need everyone’s support to take the first step, to make it harder to start smoking and easier to say no to cigarettes. If Australian policy-writers and decision-makers aren’t prepared to consider stricter measures to eliminate the foothold that smoking and nicotine continue to have, they should be accountable for the lives destroyed by tobacco use. Eliminate Cancer urges all states and territories to embrace new control plans for cigarette sales to move towards making Australia tobacco free. To achieve this we believe a vital first step is to raise the legal purchasing age of tobacco to 21 years. 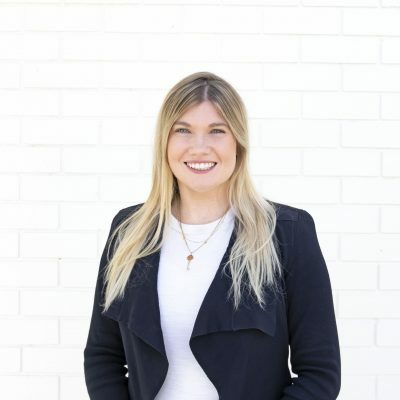 Tess joined the Minderoo family in May 2018, after working as a research and public policy advisor in Canberra. She leads Eliminate Cancer‘s engagement with Australia’s health sectors and governments to deliver key policy reform for cancer prevention, with a key focus on tobacco control.